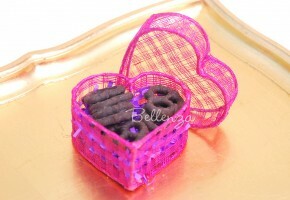 Sold as a single unit of heart boxes. 100% natural sinamay woven material. Lid can be fully removed. Can be used to hold a variety of baked treats. 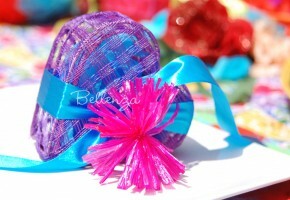 This item can be wrapped in our 17′ organza wraps . Perfect for a ladies’ luncheon as favor containers for cookies. Fits at least 3 macarons, 3 meringue cookies, or 3 fortune cookies. Sold in single units of pink favor boxes. Made of woven abaca material. Measures 2″ high x 4″ at widest point. The lid is fully removable. Has a bright pink hue. 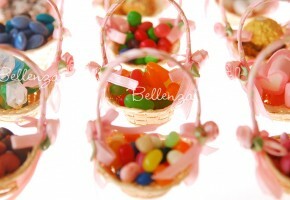 Popular as baby shower favors for a girl. Add your own ribbons and tags to personalize them. 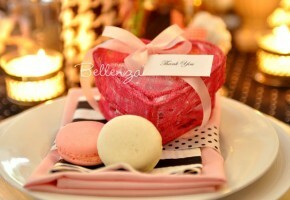 These heart-shaped boxes can fit at least 3 macarons. Can also fit meringue cookies, brownies, and marshmallows. Measures about 3¼” long and 1″ wide. 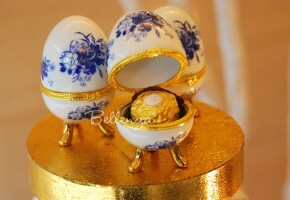 Includes a FREE favor box measuring 3½” x 3½” x 3″. Sold as an assortment of 6 that is purple (3) and peach (3). 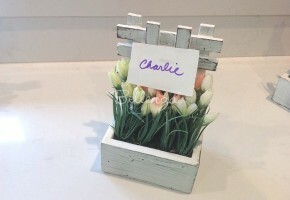 Faux flowers rest on a mini wooden trellis painted in white. Perfect for holding a 3½” x 2″ place card. 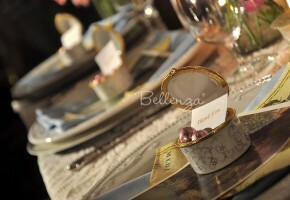 They are ideal for small luncheons, tea parties, and dinner parties. Perfect for springtime ladies’ luncheon. Tuck a small card into these mini trellis card holders. 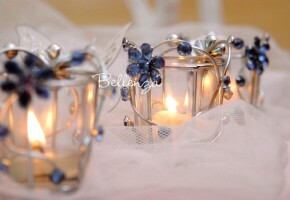 They can be re-used as pretty decorations for a desk or side table. 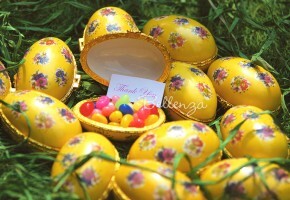 Give them as lovely party gifts for an intimate Easter gathering. 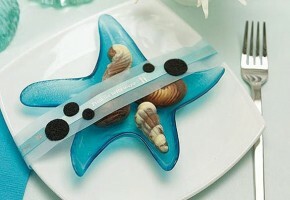 Can also be used as table number holders for a Spring wedding reception. 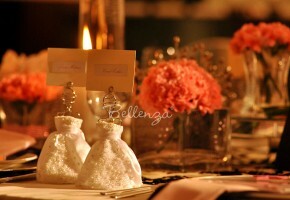 Sold as a set of 2 mini princess gown favors. Get 30% OFF (on more than 1 set) with CODE: PET30. 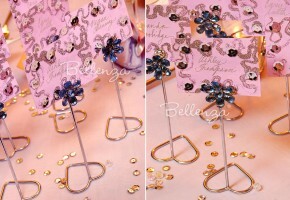 Each place card holder stands about 6 ½”. Features a miniature satin gown with an empire bodice of pleated chiffon. Embellished with white, silver, and glass beads. Back detailing has a chiffon ribbon with miniature pearls. The princess gown features a tulle pouch hidden under the full skirt. Wire figure is made of tarnish-proof chrome. 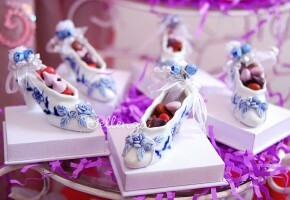 Popular for a Parisian, Victorian, or Sweet 16 or 15 theme. 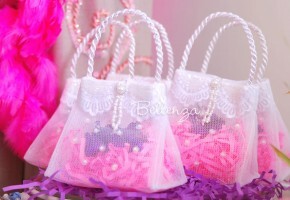 Also great as flower girl gifts or recuerdos de quince años. Measures approximately 9″ x 9″. Get 50% OFF now with CODE: PLW50. Sewn from fine silk shantung in classic ivory. 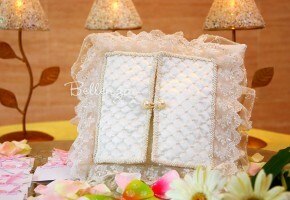 Features a fairy tale storybook design, edged with ruffled ivory lace. Quilted front flaps open to reveal the embroidered and beaded interior. 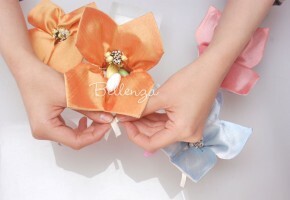 Dainty satin ribbons serve as the ring holders. An elegant pearl clasp keeps the front flaps closed. 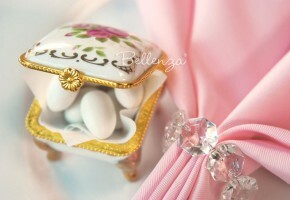 Comes in a Bellenza signature gift box. Also known as page boy pillows or ring cushions.